When you were little, did you ever create a brown-paper bag mask? Whether you cover your face with your hands and peek out from between your fingers or screw up your face into a parody of itself, you become, for the briefest of moments, someone else. And in the process, you recreate the oldest masks in history, ones that, from the beginning of time, have protected concealed, frightened, and delighted all humankind. 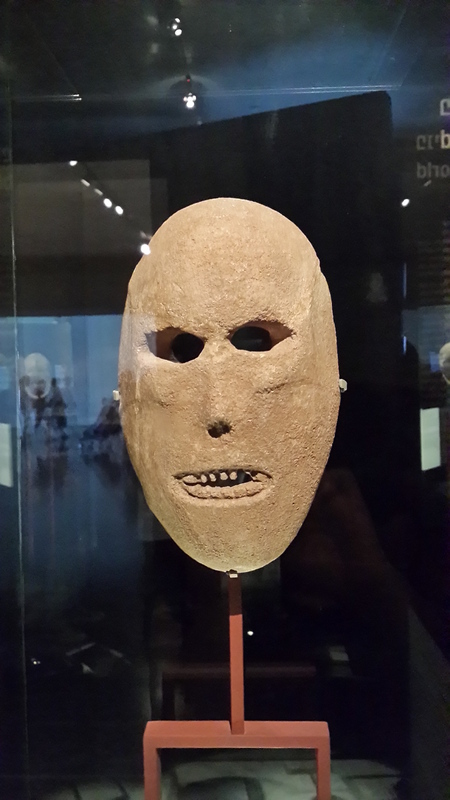 The earliest man-wrought masks probably represented animals, since successful hunts were a matter of life and death. Others, imbued with sacred power likely figured in initiation, healing, and funereal rites. 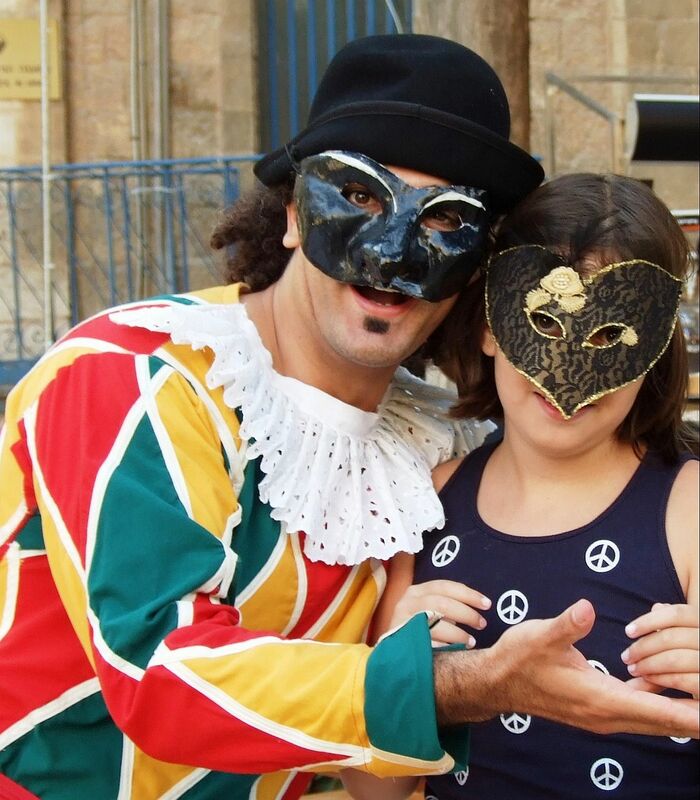 The word mask, which harks back to Latin for spector or witch, appears in similar forms in Arabic, Hebrew, Italian, and French. Over the ages, masks have starred in Greek drama, sent tribesmen on the warpath, summoned otherworldly spirits, and offered protection in the face of danger. 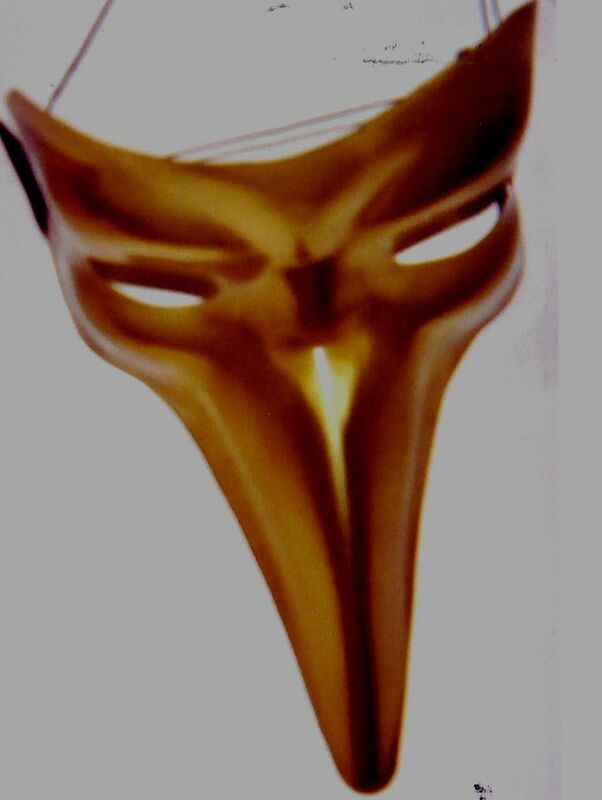 During the Black Death, and later during the Great Plague of London, masks were thought to ward off disease. 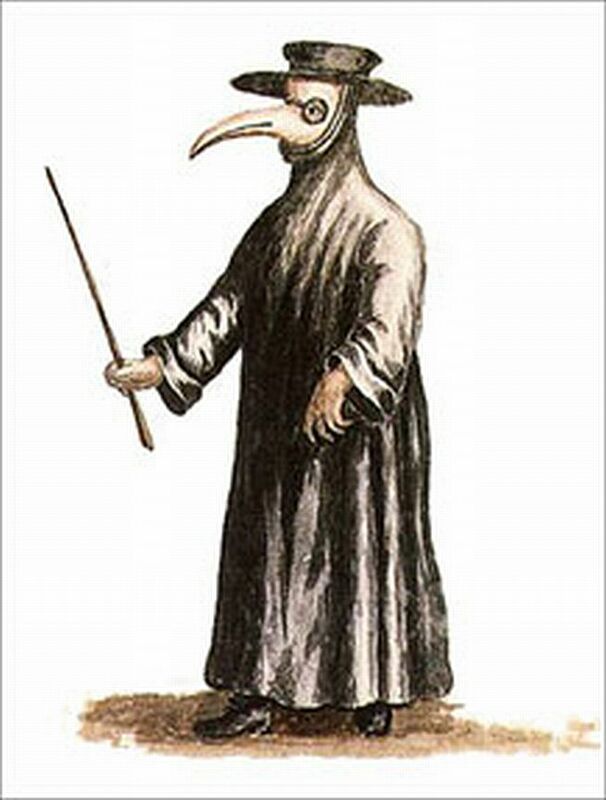 In addition to wide-brimmed hats, long gowns, leather gloves and breeches, full length boots, plague doctors donned face masks featuring red glass, evil-resistant eye pieces and beaked noses. These beaks, primitive gas masks of sorts, were stuffed with aromatic, air-purifying spices or herbs. Although these courageous healers may not have saved a single soul, they must have struck the fear of God into all they met. 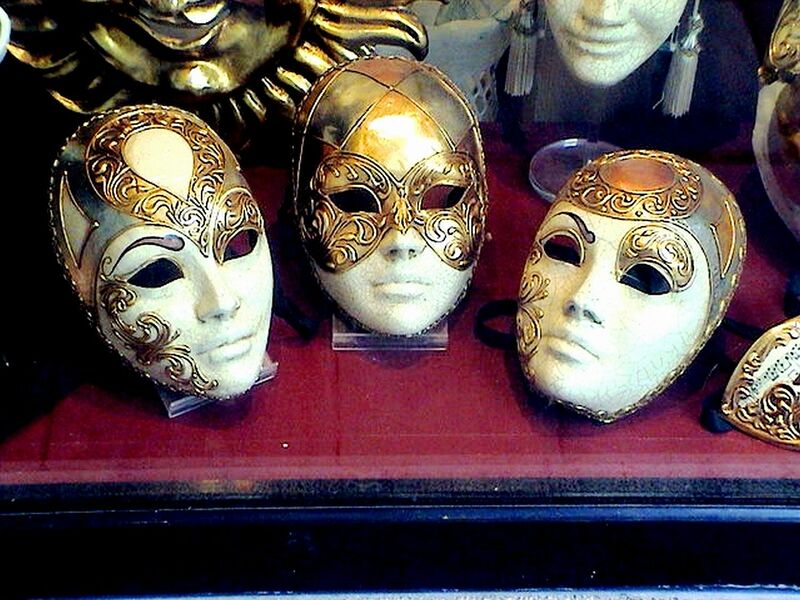 Masks come in all shapes and sizes, ranging from simple eye coverings and inverted “train robber” cloth triangles, to those as large as the human body. The world over, they are generally fashioned from whatever material is at hand. Masks, whether made of leather, wood, corn husks, or gourds can, in a single glance, capture the essence of different lives around the world.